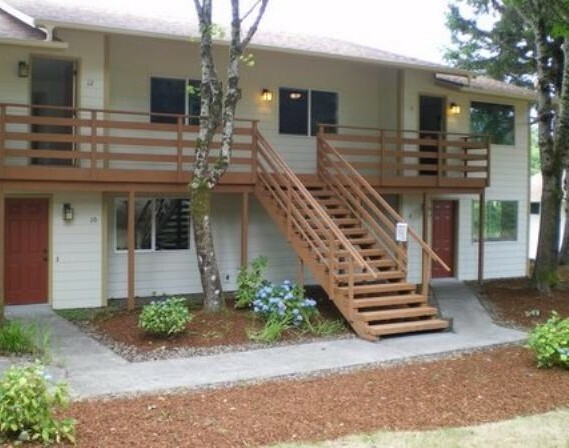 Equity Pacific is pleased to announce the sale of the 20-Unit Villas on Broadway located at 1601 Broadway Street in Seaside, Oregon which has sold for $2,199,900 or $109,995 per unit, $122 PSF and a 7.85% capitalization rate. Villas on Broadway were originally built as condominiums in 1973 and comprise five separate 4-Plex buildings on six tax lots. The complex is located on 1.5 acres of secluded park-like grounds surrounded by trees. The apartment unit mix includes five (5) 3BR/2BA apartments of approximately 1,090 SF, ten (10) 2BR/1BA apartments of approximately 900 SF, and five (5) 1BR/1BA apartments of approximately 700 SF. These spacious units all feature washer & dryer hook-ups and rear balconies and patios. There are 26 off-street asphalt parking spaces. All of the units at Villas on Broadway were fully remodeled in 2007, with modernization improvements including new fiber cement board siding on all buildings, and all new kitchens featuring granite slab countertops, new cabinets and stainless steel appliances, as well as new laminate wood flooring and carpeting throughout. Villas on Broadway are located just minutes from the Seaside Promenade, situated at the foot of the exclusive Seaside Heights Hill and a short walk to Seaside’s historic shopping district and the beaches.